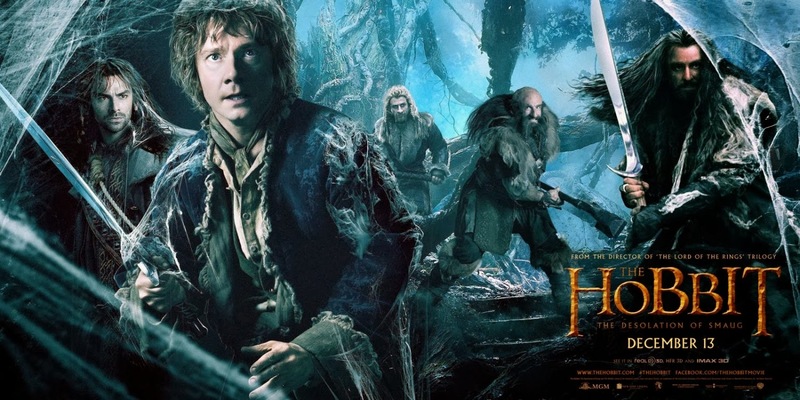 Last month I wrote a largely negative and somewhat nit-picky review of The Hobbit: The Desolation of Smaug. The thing is, while I may be disappointed with the fact that Jackson's Hobbit movies don't live up to the standards of his Lord of the Rings trilogy, it's not like they're bad movies. They could be better, but there are two sides to every argument. I'm on both sides with this movie, and I can see how elements which I criticized can also be enjoyable. So with that in mind, here is my counterpoint to myself, my defense of The Hobbit: The Desolation of Smaug. Peter Jackson has a unique method of storytelling which is common in literature but rare in film. His movies often digress from the central plot line in order to deal with subplots which may have very little or no effect on the larger story being told. What this does is create an immersive world for audiences to escape into. By deviating from the central story, the movie shows you that there are other things going on. We enter and exit side stories at different stages of their development, rarely staying long enough to see them all through to completion. The world lives on without us. Because of this, some elements of the story of The Desolation of Smaug might feel like more of the same, but that's part of what makes these movies so much fun: they take an all-encompassing approach to world building which can be overwhelming at times but which creates an immense sense of scale unmatched in the sci-fi and fantasy genres. This time Jackson has added even more of his own material in transforming Tolkien's traditional tale for the world of cinema and sets up Middle-Earth for the conflicts of the Lord of the Rings series. Lets take a look at some of the differences from the original novel and how they change the arc of the story. 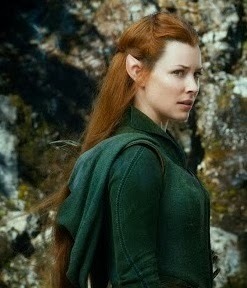 Jackson's fabricated elf Tauriel has been one of the most controversial additions to the movie which had no foundation in the book. Admittedly, the love triangle between her, Legolas, and Kili is a little clumsy, but at least it's an attempt at character development instead of a meaningless action sequence. This is also part of what makes Jackson's Middle-Earth feel alive and real: he gives us little snippets and half-stories of things happening outside the central plot. Including Thranduil and Legolas makes the story feel connected to the Lord of the Rings trilogy, and their argument surrounding Tauriel shows us that there are things going on outside the realm of the main narrative. Additionally, of all the things Jackson could have (and did) create out of nothing, a love story is far from the worst possibility. It even has a precedent in the Lord of the Rings trilogy: Arwen wants to be with Aragorn but is discouraged by her father Elrond in the same way that Tauriel's desire for Legolas is inhibited by Thranduil. This simple similarity makes a series of movies which are about very different things feel more cohesive, like they take place in the same world. Of course there are sequences where the opposite happens. In the now infamous barrel scene, the band of dwarves and their hobbit companion escape from the elves only to be attacked by a group of orcs. Legolas and Tauriel come to the rescue and slay many of the orcs, chasing the survivors as they retreat. In the book, this scene not only lacked Legolas (who appears nowhere in the book) and Tauriel (who appears nowhere in any of Tolkien's work), but it also lacked any orcs. The travelers simply escaped and went on their way. It's hard to argue with the alterations made to this scene though because it's one of the most exciting in the film. We get to see the elves fight in their signature too-good-to-be-true style, it adds some urgency and a sense of impending doom to the events (important when your movie is almost 3 hours long), and it builds the relationship between Thorin and Azog (the orc leader). The orcs' motivations could be a little clearer (Azog wants revenge, but is also seemingly taking orders from the necromancer, and is later replaced by another orc named Bolg), and some of the shots from the barrels' perspective look like they were taken with a GoPro, but in the end it's a really fun addition. Far and away the most exciting moments of the movie are the events which foreshadow the Lord of the Rings trilogy. There are several scenes where Bilbo must use the ring to escape from danger, and these are intense not only because they are action packed, but because we know every time it happens brings Bilbo closer to madnes. Gandalf journeys to Dol Guldur and finds that the crypts of the nine men who will become the Nazgul are empty and learns that the necromancer is actually Sauron. Saying that the best parts of the movie are those which preface other movies might make you wonder why you should watch this instead of those, and maybe this is part of what makes Desolation only good where Lord of the Rings was great, but at the end of the day it ties the stories together and is enjoyable for that reason. Ultimately I think The Hobbit: The Desolation of Smaug will not be remembered as fondly as any of the Lord of the Rings movies, but it's an improvement on the previous Unexpected Journey and will be enjoyed by most fans just looking for more of Peter Jackson's Middle-Earth. This article was originally written for and published by Literary Traveler, so go check out their website! I'm glad you woke up! Nah, I understood your criticisms in your earlier review. This new article is a good summary of the extra bits in a film I loved. Also worth mentioning are the mountain escapades at the end which were very much in the tradition of Peter Jackson's overblown 'King Kong'. I definitely agree some of the SFX were dodgy. It's still a shame that the movie wasn't more recognised at the Oscars, maybe for music. But overall, the film might've been vastly improved and pacier by dropping some subplots and side stories, and maybe had more focus on Bilbo vs the dragon. Could things have worked better in only two movies? Probably, but I just want more Middle-earth next year so bring on the extra material. Yeah personally I don't much mind the side plots and length and all that, like I said in the article I think it's part of Jackson's storytelling method and I think it works. At the end of the day if I were allowed only one complaint it would be the character writing. I just don't care about anyone in the movie other than Bilbo. But there are plenty of movies that are poorly written and this isn't even close to the worst one, I just had high expectations because of the Lord of the Rings I think. I like your comparison to King Kong a lot. I think it shows how/why my expectations are a little unfair. Very similar movies in terms of quality I believe (I don't think I've seen King Kong since it first came out). Definitely agree with your sentiment about just wanting more Middle Earth. That's kind of why I'm on both sides of the fence with this movie. I think it could have been better, but it's Middle Earth so who cares? Let's kill some orcs.